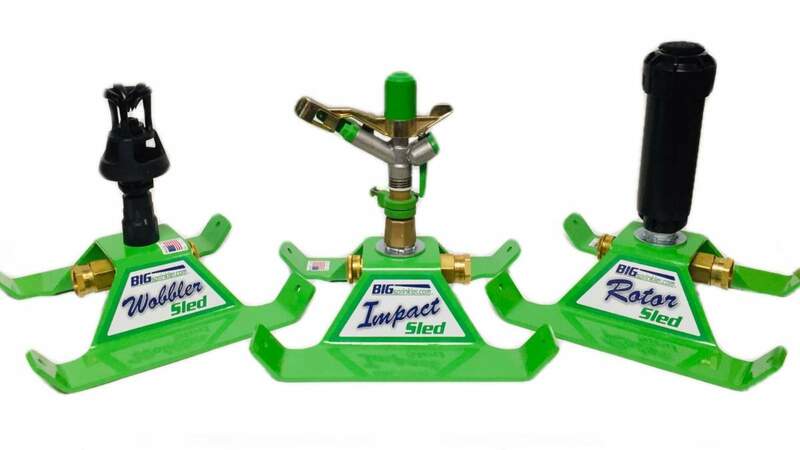 BigSprinkler.com is your best source for commercial grade sprinkler equipment to meet your needs. We can provide a great portable pasture irrigation solution, like the 1000F-Heavy Duty Sprinkler Cart. 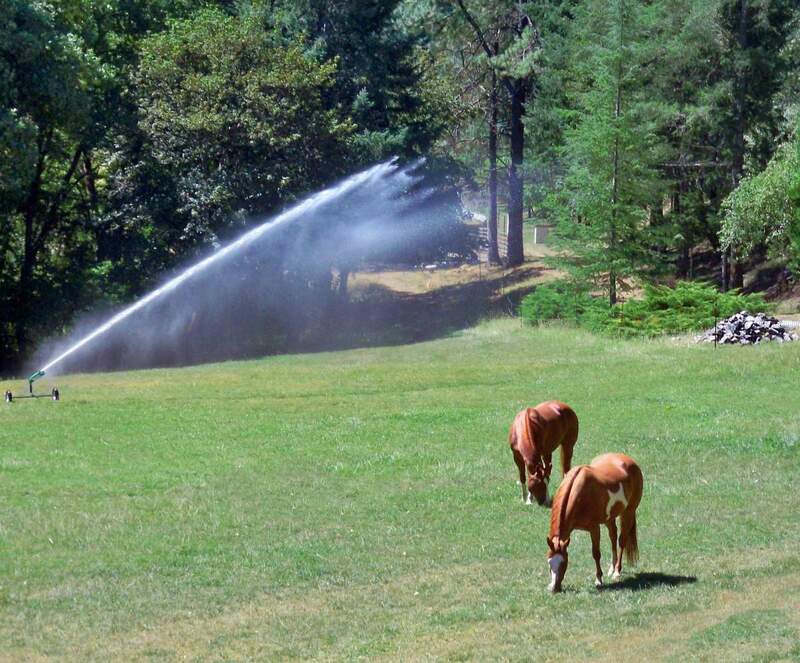 This portable wheeled sprinkler cart is an excellent and affordable option for horse pasture irrigation. This sprinkler will maximize your potential and is the largest that you can operate from a standard faucet and 3/4" garden hose (May also be adapted to a 1" hose). It includes 5 nozzle sizes so you can match sprinkler output to your water supply capability. Simply place the sprinkler in the area to be watered, complete the application in the desired time, then pull the sprinkler ahead to the next dry area to be watered. For larger areas the 1250K, 1500H, 2000S and 3000R sprinkler carts can provide more coverage but would need to be supplied by a larger water source. Our sprinkler carts are a great alternative to an in-ground sprinkler system when a lower cost but effective irrigation solution is needed. If you need further help in deciding which of our products best fits your application then please call us at 855-805-7901.